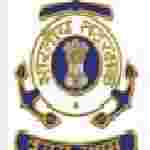 Indian Coast Guard Yantrik recruitment 2016-17 notification apply online : Indian Coast Guard (ministry of Defence) welcomes application from Indian candidates possessing educational qualification and age as prescribed below for recruitment to the position of Yantrik vacancies for 01 / 2017 batch course commencing February 2017. Candidates who completed their Matric, diploma is a good opportunity.The individuals who are the occupation seekers searching for govt employments in India this is the best chance to apply. Competitors read the official notification then read all the guidelines and miners precisely then apply before the last date online application got. All the interested and eligible candidates can apply online before 12th August 2016. Candidates Age Limit: The age of the candidate should be minimum 18 years and should be maximum 22 years. Candidate should born between 1st February 1995 to 31st January 1999. Academic Qualification Details: Candidates should have passed matriculation class standard examination board or equivalent and diploma in electrical engineering / mechanical engineering / electronics engineering and Telecommunication engineering approved by All India council of technical education (AICTE) with 60% in aggregate. Official website: All the interested and eligible candidates can apply online through official website of Indian Coast Guard www.joinindiancoastguard.gov.in from 2nd August 2016 to 12th August 2016. Important Dates: Starting date for the submission of online application is 2nd August 2016. Last date for the submission of online application is 12th August 2016.